Does your company have a defined CSR policy? CSR is a way to show your customers and stakeholders that are committed to being an asset to the community that supports and sustains your business. This is a huge opportunity for companies to stand apart from their competition. 86% of companies with defined CSR policies report happier employees. 6/10 citizens perceive improvements in the social and environmental performance of companies with CSR. 16% of consumers would be willing to pay more for a responsible product. Serve the City offers you a consulting service to help you define exactly what your CSR policy should look like to be an effective tool for you to grow your business in the right way while having a positive effect on both productivity and your bottom line. We will walk you through the process of defining the policy and then ensure that the Community Involvement element of the policy is executed in a holistic manner that partners your company with a local non-profit to the benefit of both. A professionally planned and executed external community project based on the needs of your organization which extends beyond a single event to a relationship with a local NGO. Projects tailored to your needs, skills and budget. For more detailed information, please fill out the form below. 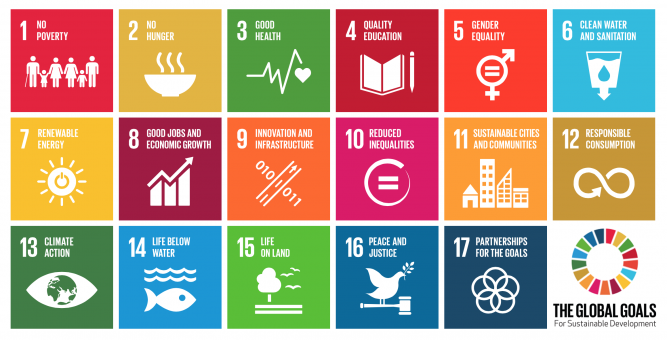 In 2015, World Leaders committed to 17 Global Goals to achieve 3 extraordinary things in the next 15 years. End extreme poverty. Fight inequality & injustice. Fix climate change. At Serve the City, we think these are great goals that we can engage local business with to promote and tackle in our cities. We are strong believers in our partners following their passions when they consider community involvement. With that in mind, do any of these goals resonate with you and your company’s values? Talk to us about it so that we can help you engage in our community around one of these goals! Find out how much fun it is to do a project together with your colleagues to meet and help other people. Serve the City would love to help you as a company to find a fitting volunteer project. We take on the challenge to look for a project that fits your company and will make a difference in the lives of others. Social projects: Cooking for the homeless, a nice afternoon with people with a mental or physical illness or playing bingo with the elderly. Practical projects: Helping a person move, renovating a house, cleaning a place or helping with gardening. We will always look for a project that matches your wishes and we need to take the availability of the people we are helping in consideration as well. Usually we need 4-6 weeks to organise a well organised project. Hebben jullie verder nog verwachtingen inzake het project?